Today’s contribution comes from my very good friend Mary Lynn, via South Africa. This took place in Charlotte, North Carolina. A lawyer purchased a box of very rare and expensive cigars, then insured them against, among other things, fire. The insurance company refused to pay, citing the obvious reason, that the man had consumed the cigars in the normal fashion. The lawyer sued and WON! Delivering the ruling, the judge agreed with the insurance company that the claim was frivolous. 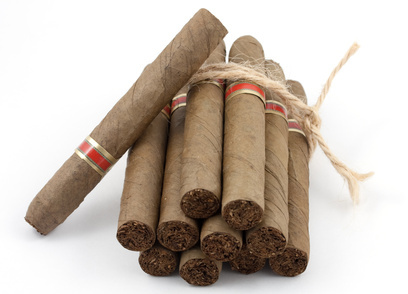 The judge stated nevertheless that the lawyer held a policy from the company, in which it had warranted that the cigars were insurable and also guaranteed that it would insure them against fire, without defining what is considered to be unacceptable ‘fire’ and was obligated to pay the claim. Rather than endure a lengthy and costly appeal process, the insurance company accepted the ruling and paid $15,000 to the lawyer for his loss of the cigars that perished in the ‘fires’.